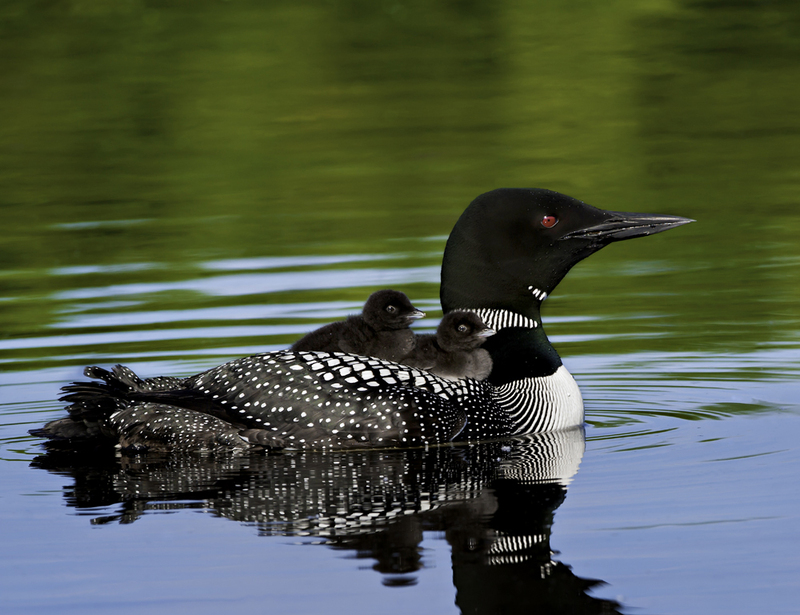 Common Loons, formerly known as Great Northern Loons, are migratory aquatic birds with sharp beaks and thick necks. 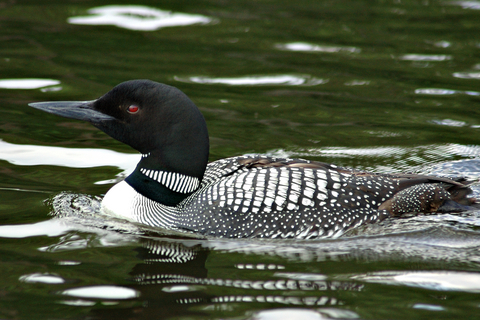 Common loons swim underwater to catch their prey and can remain there for as long as three minutes. 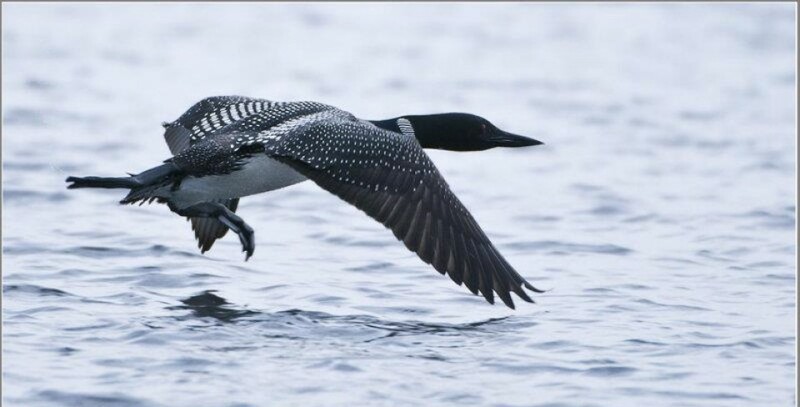 While in water, they use their feet for propulsion. 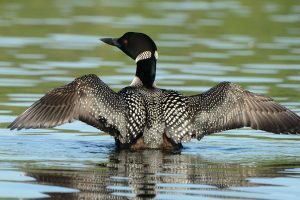 They prefer large waterways as they need a vast stretch for take-off. They make four types of sounds, namely the Tremolo, the Yodel, the Wail, and the Hoot. Tremolo is of short and wavering nature used to signal alarm or to notify their arrival at a lake. They use it during flights only. 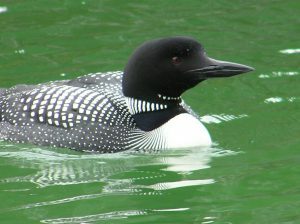 The yodel is male loon’s claim of a territory, and it changes when the bird travels to a new area. The wail is a long call given back and forth to locate each other’s position whereas hoots are short, soft calls used for making contact with each other. Common loons are monogamous birds that mate annually. They start breeding at two years of age, their breeding territory ranging between 60 and 200 acres. 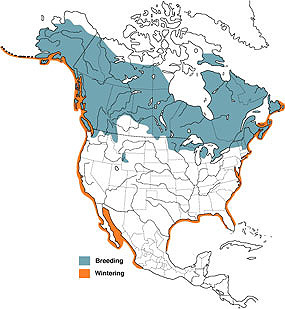 Breeding takes place ashore in nest sites, which are generally reused annually. 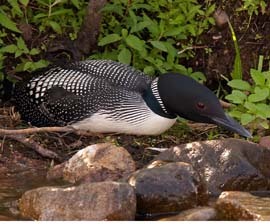 They defend the territories physically as well as vocally, and both, male and female, take part in nest building. The nests are built with dead marsh grasses, twigs, reeds and other plants along the vegetated coasts of lakes. 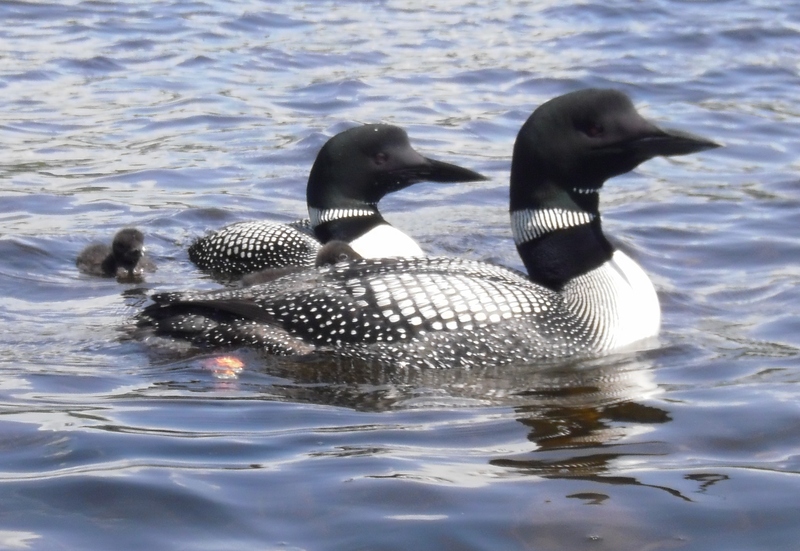 Both, male and female incubate the eggs. Chicks leave the nest after few days from hatching and sometimes ride on their parent’s back in the water. Both the parents feed and nurture the babies. In the next 2 to 3 days, the chicks are capable of swimming and diving underwater and can fly when they are 10 to 11 weeks old. Common loons can dive more than 200 ft (61m) underneath the surface of the water in search of food. 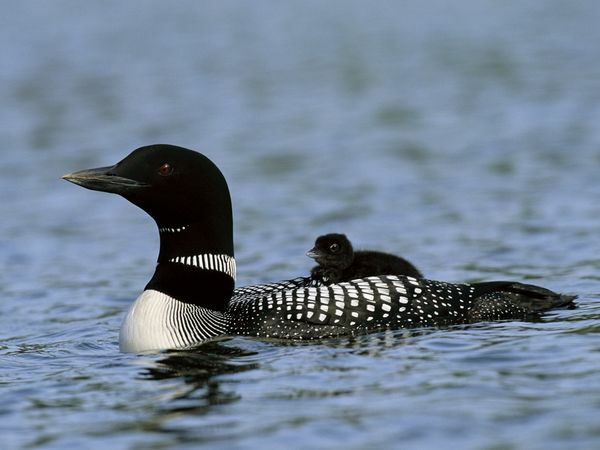 They can fly at a speed of more than seventy miles per hour especially when they are migrating. They are known to be awkward as their legs are placed far back on the body. 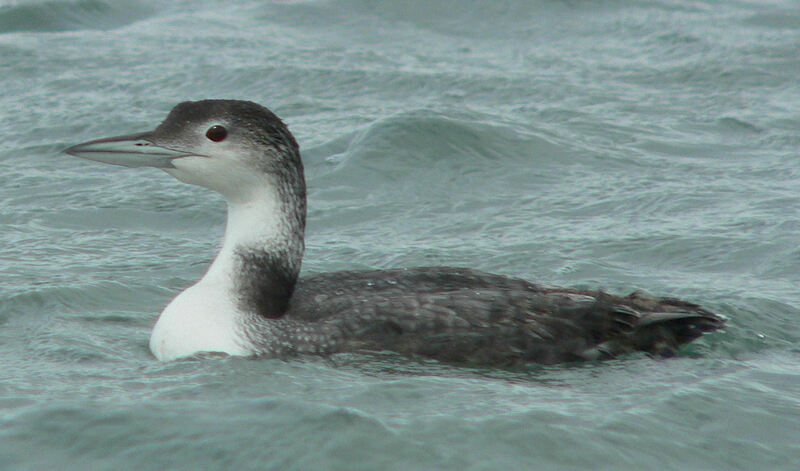 They are clumsy when on their feet and are more comfortable in water than in land. 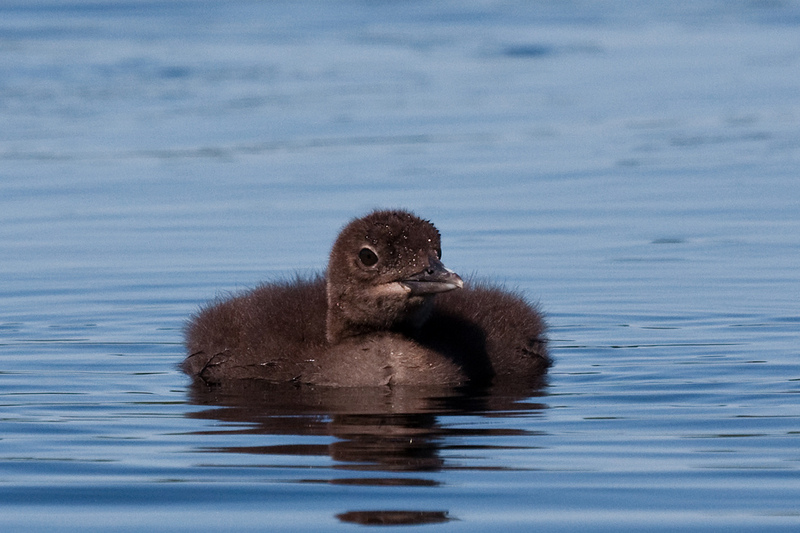 When they are below the surface of water, their heart slows down to preserve oxygen. 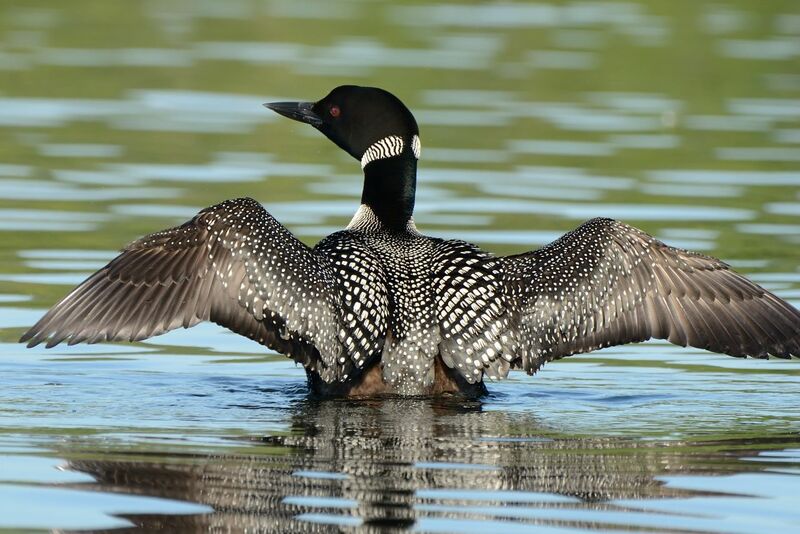 During migration, they sometimes land in wet highways, parking lots, or small ponds, mistaking them to be large water bodies and getting stranded since they require large areas to lift themselves. 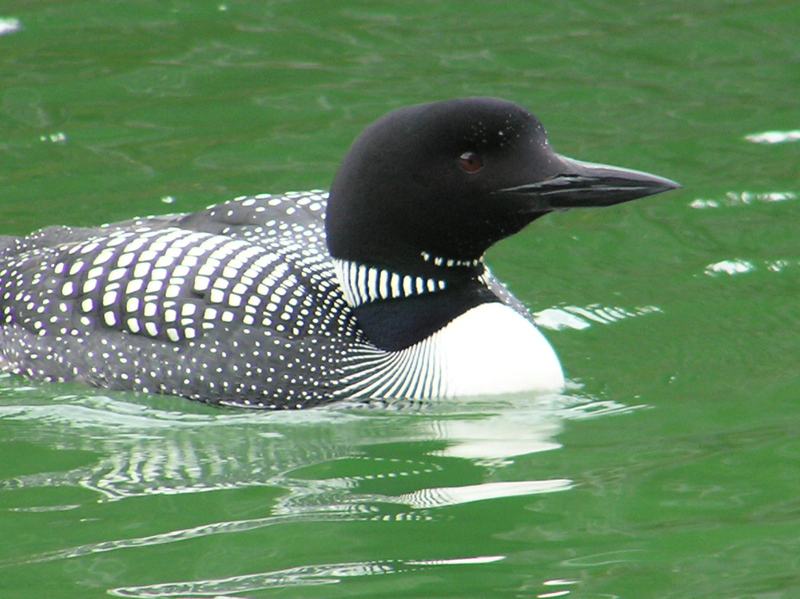 Their plumage exhibits seasonal changes – black and white pattern in summer while it is plain gray above and white below in winter. 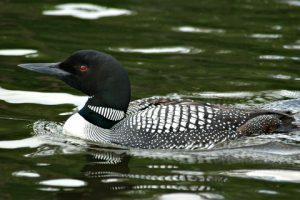 Published on August 17th 2016 by Sajal Datta under Coniferous Forest Animals.